My apologies for the unexpected hiatus! Between a week of vacation (yay! ), jet lag (oof), and the internet being broken when I got back home (thanks, Verizon) I got a little bit behind. The good news is that I’m back in action! So, with no further ado, here’s a sparkly pink and gold look with glitter. I started off with Glisten & Glow “Veni, Vidi, Vici” on my pointer and pinkie. 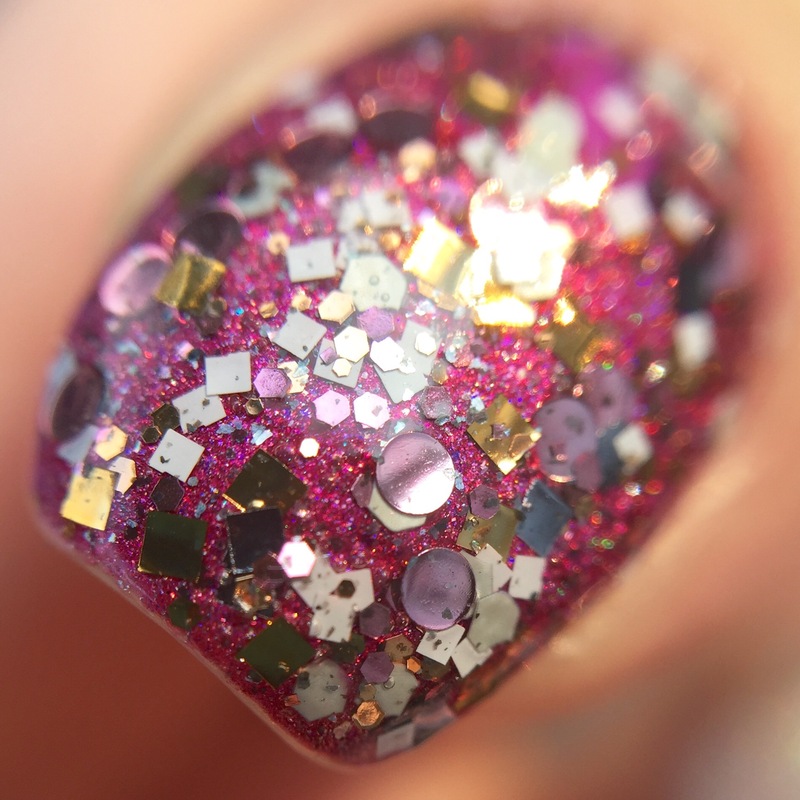 This magenta scattered holo is from the August A Box, Indied. 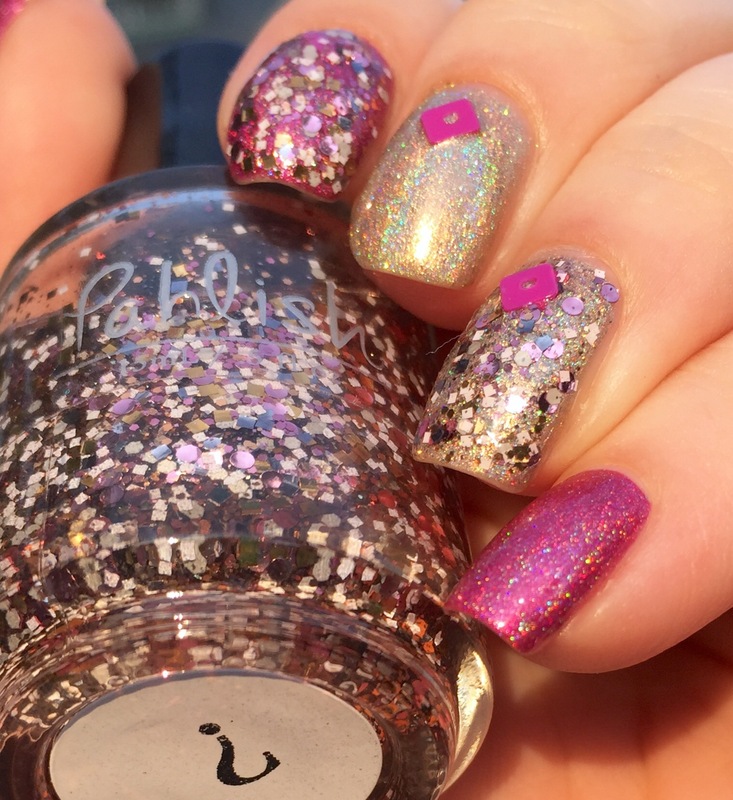 On my middle and ring finger nails, I went with my new best friend, ILNP “I See You” (reviewed here). For the accent, I have a mystery Pahlish that I’ve been dying to use since I swapped for it a few months back. In addition to cute little pink circle glitters, it has pink, silver, white, and gold hex glitter in different sizes, as well as pink, silver, white, and gold square glitter in two sizes. I love square glitter. Love it. 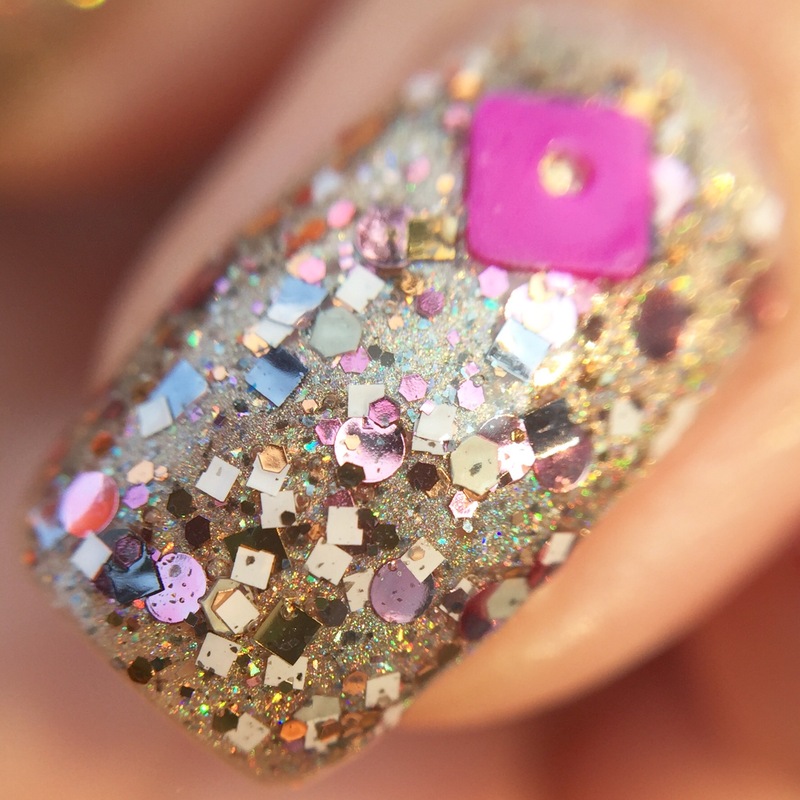 Thus, I wanted to flaunt that aspect of this glitter topper by adding a big honking magenta square glitter as an accent. I’m not 100% sure it works together, but I’m a happy camper that I’m finally getting to wear this awesome topper. What do you think? Is this look working? 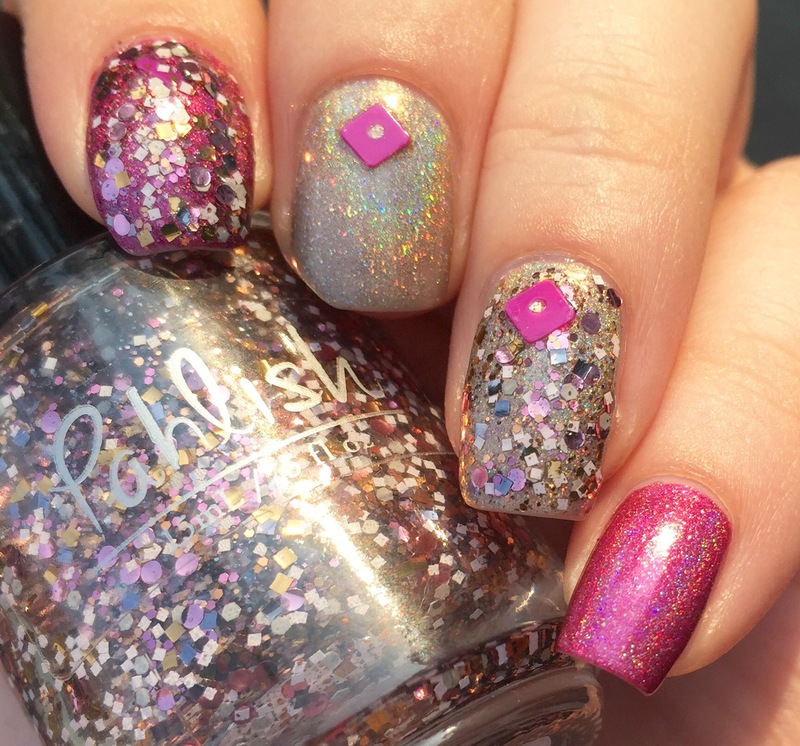 Do I need to chill out about square glitter? (Nope nope nope. Love square glitter.) should I be shunned for shirking by blogging responsibilities? I am glad it made it there safely and I was hoping you’d love it! 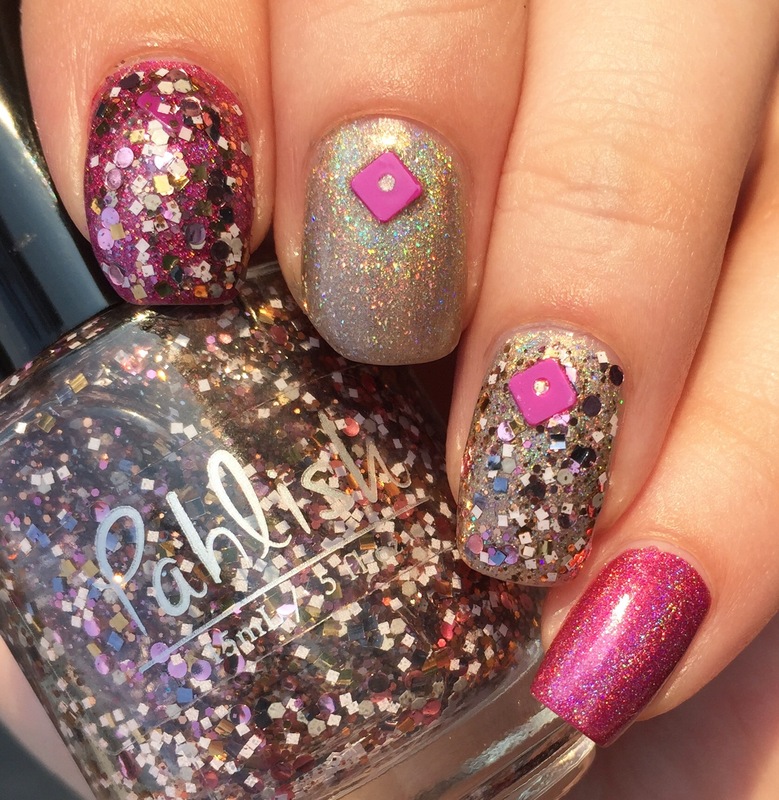 I love the color combo, and Pahlish obviously….but chunky glitter is not my favorite 🙂 I’m so glad it found a good home though. Will be happy to swap again anytime!